For too many of us the weekend has become just another overcrowded couple of days dominated by duties, traffic jams, hassle and expense as we dash from supermarket to superstore catching up with the week's chores. But it doesn't have to be this way. 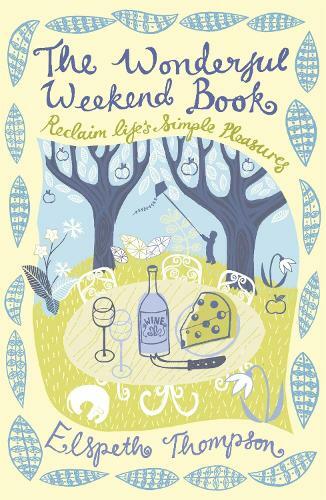 Elspeth Thompson's original and inspiring book shows us how we can reclaim the weekend by re-charging our batteries and relationships through enjoying the simple pleasures in life. From watching the sunset and the stars, making marmalade and writing proper letters to borrowing a dog, going to dance classes and using the internet creatively, she reminds us of the fun and satisfaction to be had from creative, social and relaxing pursuits. The Wonderful Weekend Book is packed with ideas that will help restore the balance in our lives, reconnect us to the seasons, and - quite literally - not cost the earth.